Back-to-Back Guilty Plea, Verdict Deal Blow to Trump Admin. 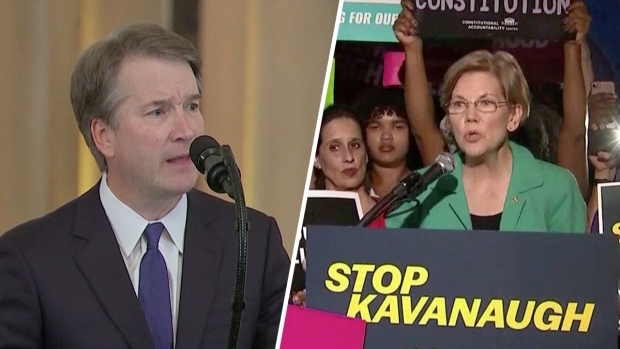 Democratic lawmakers argued Wednesday that the president's implication in admitted crimes should result in confirmation hearings for Supreme Court nominee Brett Kavanaugh being pushed back, NBC News reported. Sen. Mazie Hirono of Hawaii canceled a meeting with Kavanaugh because she didn't want to "extend courtesy to this president who is an unindicted co-conspirator." And Senate Minority Leader Chuck Schumer of New York was among those calling for a delay in the hearings. "This is a desperate and pathetic attempt by Democrats to obstruct a highly qualified nominee," White House press secretary Sarah Huckabee Sanders said. Michael Cohen on Tuesday pleaded guilty in New York to several crimes, saying he made hush-money payments that violated campaign finance law at President Donald Trump's direction. Republicans downplayed the impact the plea, as well as the conviction of former Trump campaign chairman Paul Manafort.